Surprise Ride is a subscription service that sends kids ages 6-11 fun and educational hands-on activities that foster creativity and imagination! The company was started by two sisters Donna and Rosy, and they have been working hard to create a lasting impact on the lives of children, beyond the latest toys or technologies. I love that surprise ride is packed with educational info, and kids don't even realize they are learning while playing. This box would be great for homeschoolers. We used it on a day when Lilyana wasn't feeling well, and it kept her occupied for quite a while. We learned about Native American culture and decided to do some of the mazes in the activity book. We also completed some of the connect-the-dot activities. We also found a Native American whistle and rattle and supplies to make our own dream catcher and drum. The instructions were very easy to follow and everything you need was included in the box. 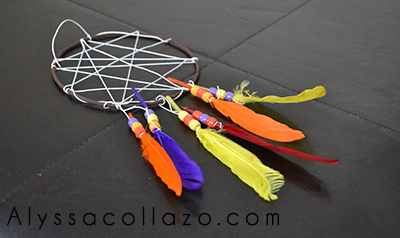 Lilyana made her dream catcher right away, but we saved the drum craft for another day. Be sure to follow Surprise Ride on Facebook and Twitter. Surprise Ride is giving one of my lucky followers the chance to win a One Month Subscription. 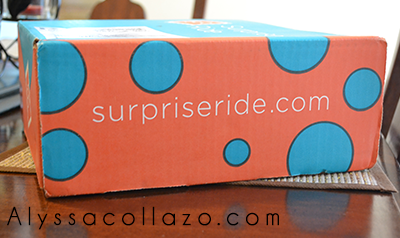 “Surprise Ride” also has boxes for adults coming soon! I can't wait to try one of those out! One (1) winner will receive: A One Month Subscription to Surprise Ride. Ends 10.20.14. My kids would LOVE this. They love crafty type stuff. I love the packaging and colours which are compiled into this product. I love the branding as well, seems like a great product and company! This is a great giveaway! The dreamcatcher is a nice accessory to anyone's bedroom. This is great, my son always loved arts and crafts when he was little. He has a dream catcher above his bed. The proper term is Native American. The box sounds like a great service. We'll have to give them a try! Kids could always use products that foster creativity and imagination. My daughter would love this. What a super fun box! Thanks for the giveaway! What a cute box. I really love subscription boxes. There are so many different types. This is awesome! My kid loves getting mail. Any box that comes in the mail he wants it to be for him. That it fosters learning is definitely a plus! This sounds like an awesome subscription box my nephew would love to get. I will have to share this with my sister for her son. Thanks for sharing. Oh, that is a unique subscription box. Very age specific! I bet the products in the box will stir the imagination of your kids. :) I would have love it if I was in that age, or maybe even now. LOL! this looks like an adorable box! we would love that in our house. Very cool products! This is a great gift idea! 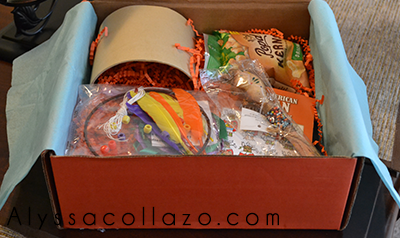 What a fun subscription box! I just may have to order this for my niece! We got this same box as well. I'm very excited that the kiddos and I will be working on the activities this weekend. Great review. This is such a wonderful company! My son enjoys getting his monthly subscription. Boy, my grandsons would absolutely love this and you got some great photos here. Thanks for sharing. This is a fabulous idea. My id is almost out of that age range, but my nieces and nephews are in that age range, so I'll show my sisters this way. This looks like a great subscription service, I'll be looking into it with for my 8 year old Son. My kids would go absolutely crazy over this! Especially my oldest, she's always crafting something. My daughter would love this, how fun, look forward to the adult boxes!